Sen. Angus King with former Sen. William Hathaway on Jan. 19, 2013, during an inaugural reception at the New Zealand Embassy in Washington, D.C.
WASHINGTON — William Hathaway, a Democrat who represented Maine for six years in the U.S. Senate after winning the seat from Margaret Chase Smith in 1972, has died, according to a release issued Monday by U.S. Sen. Angus King. Hathaway, a native of Cambridge, Mass., served in the U.S. Army Air Corps from 1942 to 1946, according to the Biographical Directory of the U.S. Senate. He was shot down over Romania during World War II and was held for two months as a prisoner of war in 1944. He received the Distinguished Flying Cross 58 years later, during a ceremony in 2002. He graduated from Harvard University in 1949, then went on to Harvard Law School. After passing the bar in 1953, he served in a variety of legal positions, mostly in Androscoggin County. He successfully ran for Congress in 1964 and represented Maine in the U.S. House for six years. U.S. Rep. Mike Michaud, a Democrat who currently serves in the 2nd District seat that Hathaway represented, honored his predecessor in a prepared statement Monday. In 1972, he successfully challenged Smith for her U.S. Senate seat. Six years later, Hathaway lost his re-election bid to then-U.S. Rep. Bill Cohen, a Republican. He gained a measure of national distinction by being one of three senators to oppose the nomination of Gerald Ford to be vice president following Spiro Agnew’s resignation. After leaving elected office, Hathaway worked as a lobbyist and practiced law in the Washington, D.C., area until 1990, when President George H.W. Bush appointed him to the Federal Maritime Commission. He left that position in 1996 and has been living since then in McLean, Va.
Hathaway was 89. Details about his death were not immediately available Monday evening. King, who served as chief counsel to the U.S. Senate Subcommittee on Alcoholism and Narcotics under Hathaway from 1972 to 1974, remained close to Hathaway since then. “He’s one of the most genuine guys there is,” then-Gov. King said of Hathaway in 2002, when Hathaway, a navigator, and his fellow crew members on the B-24 bomber Problem Child belatedly received their service medals. “He told me that he spends 12 hours a day figuring out between right and wrong and if he had to worry about politics, he would never get any sleep,” King recalled. Hathaway visited with King in January of this year when he was sworn in this year as a U.S. senator. 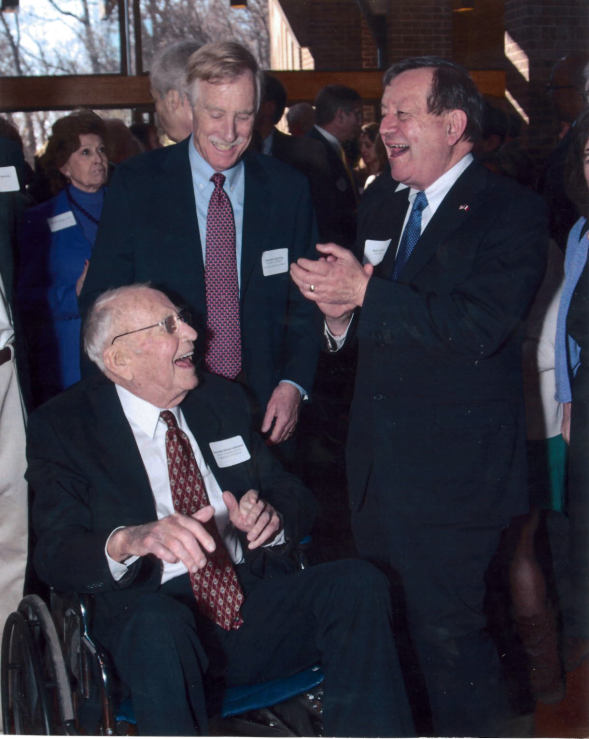 “He was a devoted public servant and successful private citizen who never shied away from tough issues and always put the interests of Maine people first. He leaves an outstanding legacy, and our thoughts are with Sen. Hathaway’s family and friends during this difficult time,” Grant said in a prepared statement.